Unprecedented ease in hollowing, finishing, and thin wall turning make this tool a must in every turner's arsenal. It does deep end grain hollowing quickly, and with incredible precision. It's also great for finishing cuts on any flat or curved surface. It drastically reduces finish sanding, saving both time and money. 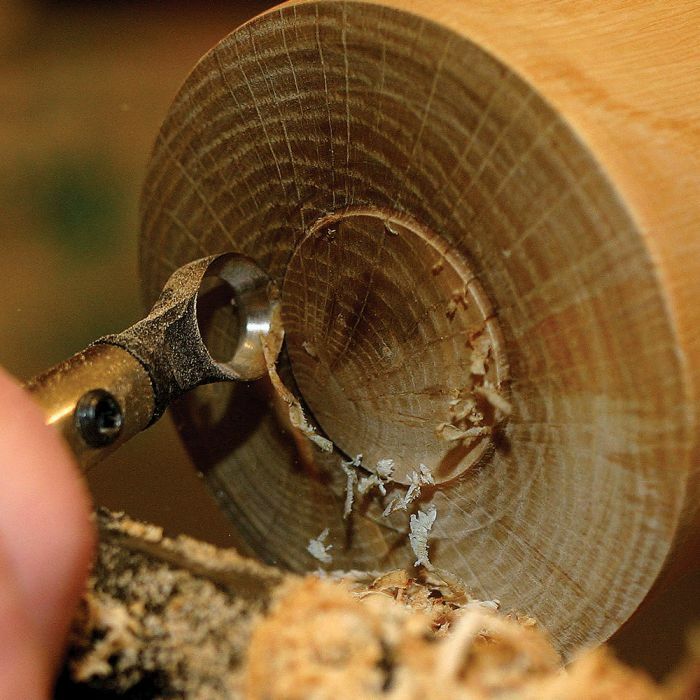 Because it excels at end grain, pommels on spindles can be cut unbelievably clean. Package includes #1 (3/8") and #2 (1/2") Termite bits, a mounted sharpening point dressed to the proper angle, a fixture to hold the Termite for grinding, a hex key and a grinding block. To sharpen, simply mount the included point in your router. Mount the termite in the fixture and rotate the inside of the termite around the spinning point.